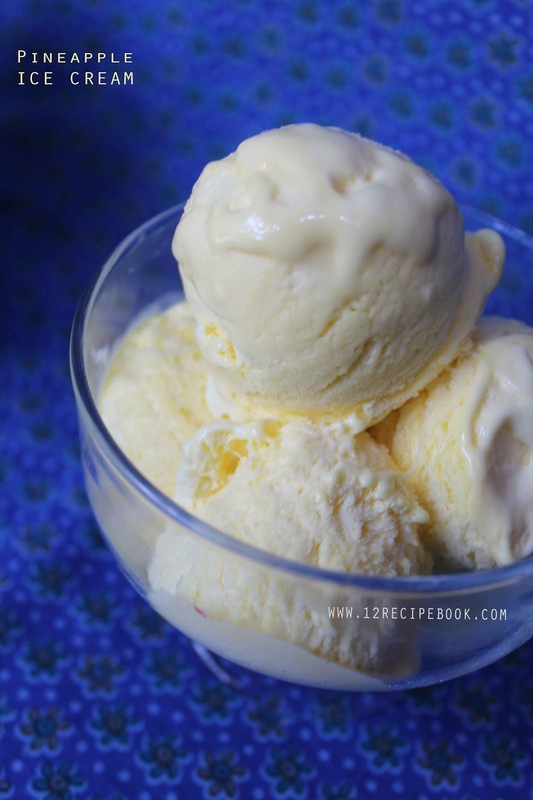 Making ice cream without an ice cream maker is simply easy and have the same perfection. 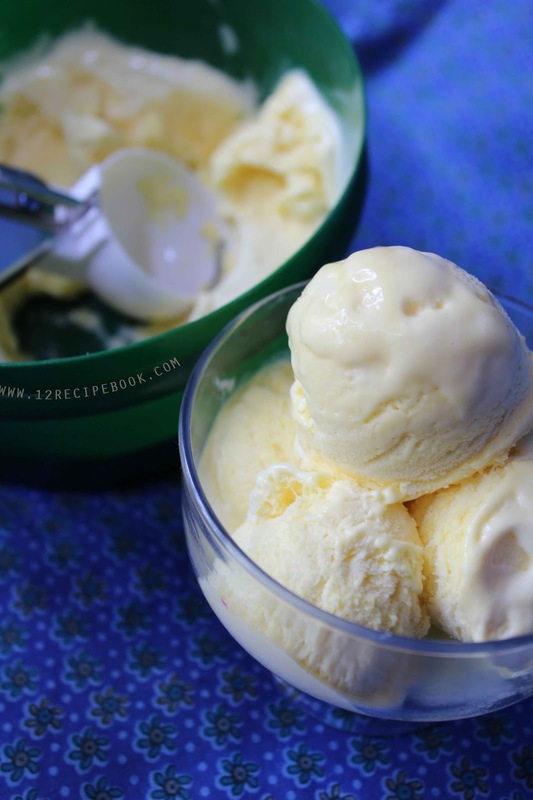 It is so creamy, smooth and delicious to the core. In a machine it almost takes 50 minutes for an ice cream to make...but we can make it with less than 10 minutes work!!! Add chopped pineapple pieces in to a blender and make a smooth puree out of it. Mix condensed milk and vanilla essence with it. In another bowl, beat whip cream until fluffy. Fold it with the condensed milk mixture. Pour in to a container and freeze for about 2 hours. After that beat it once again and freeze for overnight. Take it out from freezer 10 minutes before serving.